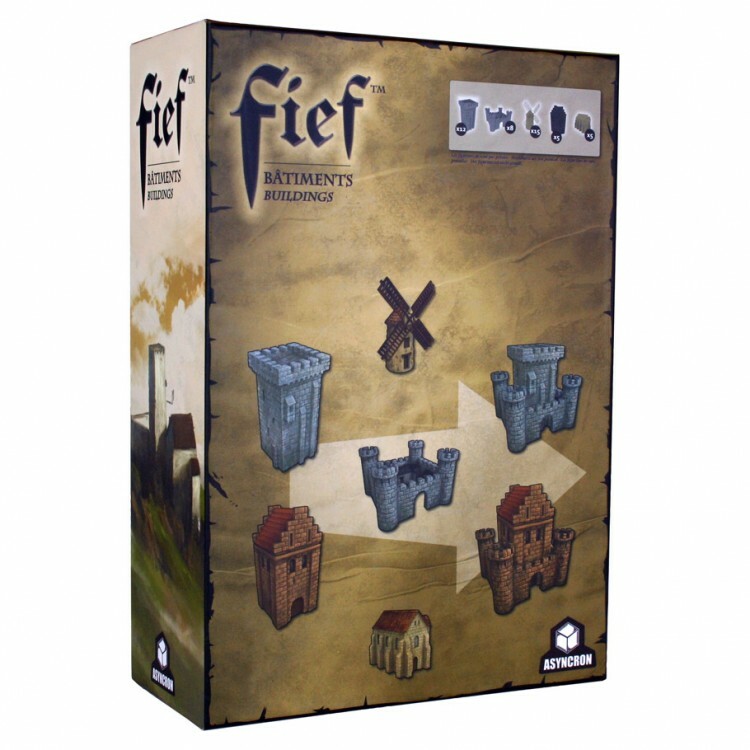 Fief is a game that immerses you in the world of medieval France as you attempt to gain titles and power for your family. 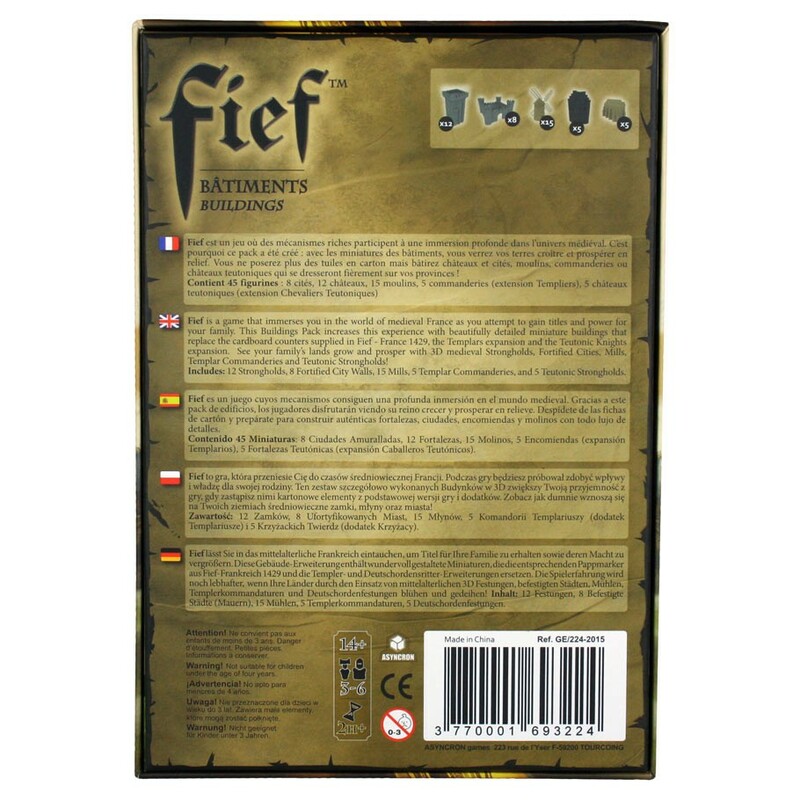 This Buildings Pack increases this experience with beautifully detailed miniature buildings that replace the cardboard counters supplied in Fief - France 1429, the Templars expansion and the Teutonic Knights expansion. See your family's lands grow and prosper with 3D medieval Strongholds, Fortified Cities, Mills, Templar Commanderies and Teutonic Strongholds! 12 Strongholds, 8 Fortified City Walls, 15 Mills, 5 Templar Commanderies, and 5 Teutonic Strongholds.